The Constitutional Court halted the decision made by the Denizli Immigration Authority to deport two Iranian refugee trans women. The Denizli Migration Authority, which did not allow the refugees their right to object to the decision, wanted the deportation operation to take place in the morning hours of March 21 [sic. Article means April], but with pressure from both lawyers and associations doing work related to refugees and rights advocates, the Denizli Migration Authority was forced to suspend the operation. The refugees’ lawyers Gamze Saymak and Tezcan Çakmak applied to the Constitutional Court and requested that an injunction be issued related to the deportation decision. The Constitutional Court, which evaluated the demand, ruled to temporarily suspend the two Iranian refugee trans women’s deportation. LGBT Asylum Seekers and Refugees Face Double Pressure! 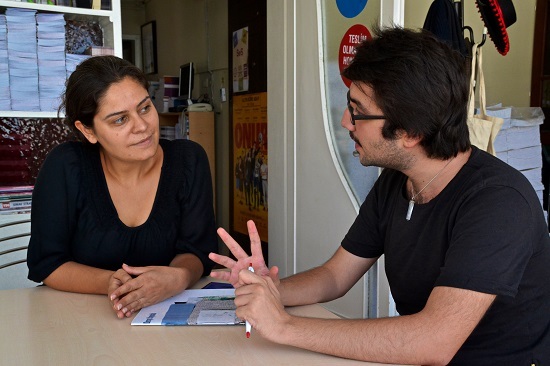 Lawyer Hayriye Kara, Kaos GL’s Refugee Rights Coordinator, talks about the troubles LGBT asylum seekers and refugees face in Turkey.